January 17, 2011 Adri H.
I just put out a new "quick gifts" series pattern and it's available via this link on Ravelry for free until the end of February 2011. So enjoy it while it's still free! 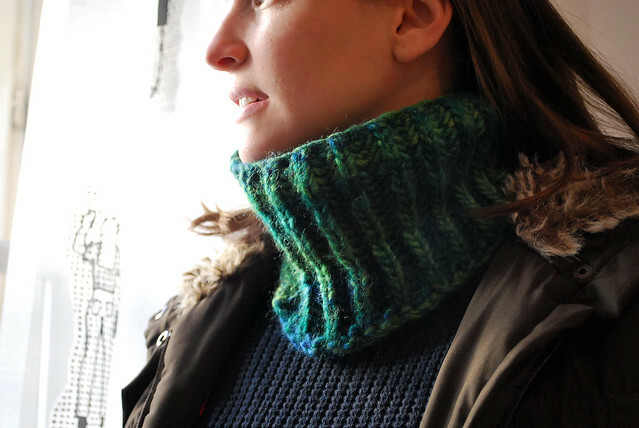 It's a very warm and fluffy cowl pattern suitable for bulky yarns and probably takes a few hours to a day to knit.